No matter where you find yourself, a trusty multi-tool can come in handy. 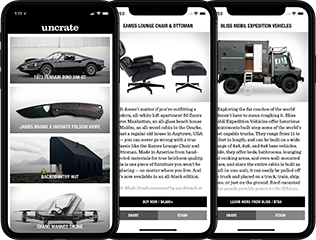 Of course, it's easier to ensure it's ready to go if you wear it instead of having something that dominates valuable pocket space. 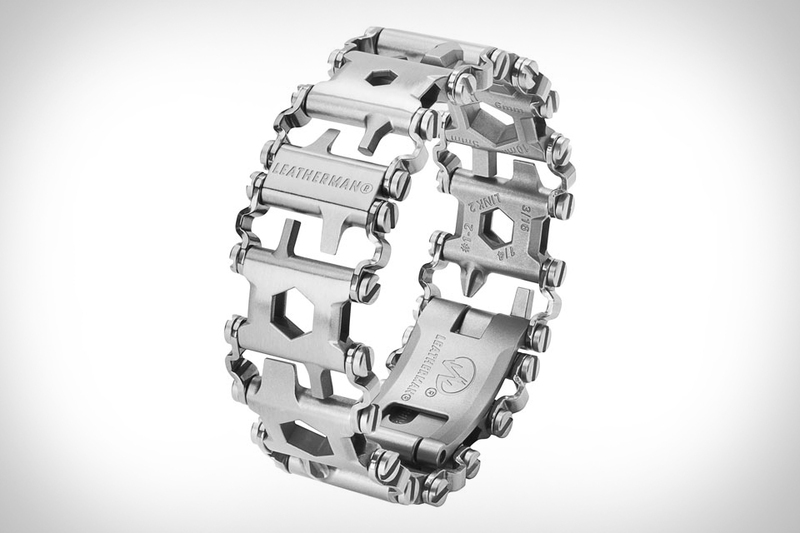 That's exactly what you do with the Tread wearable multi-tool from Leatherman. It has an innovative design that was engineered to offer 16 different tools on a stainless steel bracelet, so everything is available at a moment's notice. Many of the links have two or three tools each, giving you a total of 29 tools including drivers, a cutting hook, box wrenches, a glass breaker, and the obligatory bottle opener. TSA friendly, it's also adjustable to accommodate any wrist size and customized with the links you need most. Great for the problem-solving Dad in your life. Using a combination of the company's highly reliable engines and robotics know-how, the Miimo Robot Lawn Mower is Honda's latest tool for tackling your yard work. It relies on a boundary wire to know where it's supposed to mow, automatically sensing obstacles, pets, and humans with a set of 360-degree sensors and a floating cover for contact detection. There's a seasonal timer that can match its cutting interval with the rate of growth, multiple cutting modes to handle a variety of lawns, and anti-theft features that keep it secure when you're not around. It's available in two models, capable of cutting for 30 or 60 minutes before recharging, and will be available starting in June. Add a bit of functional simplicity to your everyday carry with the Ringtool ($25). While it's designed with the bicycle commuter in mind, we have a hard time thinking of situations in which you wouldn't want a multitool small enough to add to your keychain. It features hex heads ranging from 4-10mm, a flathead, phillips, and torxhead driver, as well as the obligatory bottle opener. It's made from hardened stainless steel, and weighs just two ounces — perfect for your minimalist carry. You hope you'll never need to break out of your vehicle because it's submerged under water or your seat belt is keeping you from escaping danger. But should you find yourself in such a predicament, or just need a trusty light in the darkness, this Autoxscape Emergency Tool is up for the task. All three tools are in one piece of equipment, featuring a high-powered LED flashlight, a seatbelt cutter made from high-carbon steel, and a window punch made of tungsten steel that is engineered to quickly break any tempered car window. Constructed of military-grade aluminum, it could be the difference between life or death in an auto emergency. When it comes to items you constantly carry, smaller is better. The Bullet 02 Flashlight is as small as you can get, weighing just five grams and measuring in at 10 x 26 mm. Inspired by a 40 S&W round, its anodized aluminum casing is nearly indestructible, and thanks to a new design it's waterproof, as well. The high-quality LED bulb lasts up to 150,000 hours, produces 20 lumens of light, and is powered by three button bell batteries, activated by a quick 180-degree rotation of the top. Available in matte black or matte brass. The tourniquet has been a valuable tool for soldiers for hundreds of years. The proper application of a tourniquet during an emergency can save a life, but an improper application with too much slack can result in the opposite effect. This Sam XT Tourniquet features a buckle technology that auto-locks at a predetermined amount of circumferential force, eliminating nearly all tourniquet slack. It's engineered for rapid utilization with fewer windlass turns enabling easier training and faster, more intuitive use. Normal stud finders beep when it finds a stud, but leaves it up to you to try and figure out where it begins and ends. The Ryobi Whole Stud Detector uses a series of LEDs at the top to show you the entire width of the stud. It can also tell you how deep the drywall is, detect wires and other materials inside the wall, and once you've found the stud you're looking for, it has a button that will mark the center with a dimple so you can find it again.